The destruction and violence caused by the sale of blood diamonds, also known as conflict diamonds, from war torn countries was finally recognized in the late 1990s by the diamond industry and countries which imported or exported diamonds. Thanks to new legislation the amount of these diamonds in today's market has substantially decreased, but shoppers still need to take action to find truly ethical diamonds. To make sure the diamonds in your rings are non conflict diamonds and low impact environmental diamonds, use these tips below and never forget - your actions and choices as a consumer make a huge difference for people and the environment!!!! Buy laboratory created synthetic man-made diamonds which have the exact same properties as real diamonds. 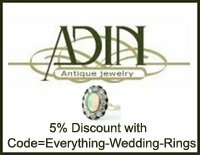 Purchase an antique, estate or gently used diamond wedding ring or engagement ring. For a new diamond ring, stick with companies which use diamonds obtained with the highest level of ethical and environmental standards. Remember: Your Actions Make A Difference!! Unfortunately the history of blood diamonds goes back over 100 years ago to the late 1800s when the South African diamond mines were first discovered. The sales of these conflict diamonds were - and still are to this day - used to fund conflicts, wars, and warlord activities. Africa has been the hardest hit nation, and it is estimated that millions of people and children have suffered, been displaced, and countless others killed and horrifically maimed, due to illegal diamond activities. Currently, investigations are also pending to see if the underground conflict diamond trade has been used to fund terrorist groups such as Al-Qaeda. The Kimberley Process Certification Scheme (KPCS) was approved by the United Nations on March 13, 2002. This certification scheme was developed in part by southern African nations to stop the spread of illegal diamond sales. Participating KPCS member countries must monitor the flow and sales of rough diamonds in their countries, and adhere to regulations in order to label their diamonds as conflict-free. While the KPCS has helped to reduce illegal diamond sales, stricter regulations and monitoring are needed to completely eliminate illegal diamond trades. Currently any country can join the KPCS, and due to an absence of outside monitoring these countries may or may not adhere to KPCS standards. 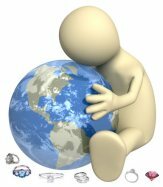 In July 2000 the World Diamond Council was formed; this organization was created by members of the diamond industry to help create a tracking system for the export and importation of rough diamonds in order to prevent illegal diamonds from finding their way into legitimate diamond trades. In December 2002, Canada passed the Export and Import of Rough Diamonds Act which supported KPCS policies. In the United States, the Clean Diamond Trade Act was passed in April 2003 which enacted KPCS policies in the United States. For a list of countries which are current members of the KPCS, and countries which have been suspended from the KPCS, click on this World Diamond Council link. While these regulations have helped to stem the flow of blood diamonds into the diamond trade industry, it is estimated that anywhere from 1 to 15% of all diamonds sold today still come from illegal sources. 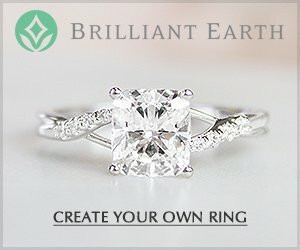 What can you do to make sure your ring does not contain a conflict diamond? 1. 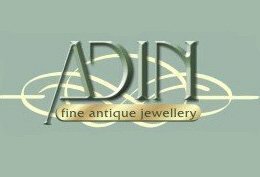 Consider purchasing a used ring - like an antique or estate ring. 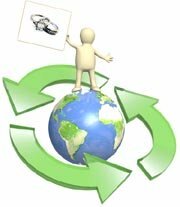 With the purchase of a gently used ring, you can ensure that your diamond ring has the lowest possible impact on the environment and mining communities. 2. Go with a Synthetic Man-Made Diamond. Remember, synthetic man-made diamonds have the exact same physical properties and natural diamonds - the only difference is that they are made in a laboratory. A synthetic diamond has no risk of having a conflict diamond history and its creation has a low impact on the environment too. 3. If you wish to purchase a new diamond wedding ring, to ensure the ring is made with non conflict diamonds - and high ethical standards - take the time to research the retailer or jeweler you are buying the ring from. 4. Consider a ring made with Moissanite - a stunning gemstone that looks a lot like a diamond but has a little more flash and fire. Currently moissanite gemstones are synthetically produced in a laboratory, and these strong gemstones will definitely hold up to the every day wear. 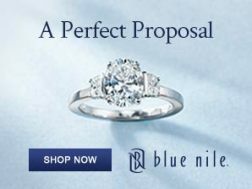 Do you have a company policy on conflict diamonds, and can I have a copy of this policy? 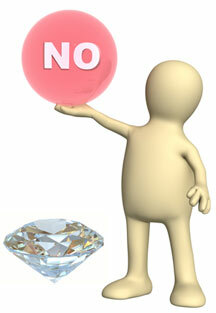 Can you provide a written guarantee that your diamonds are conflict-free diamonds? If the seller cannot answer these questions, go somewhere else. There are plenty of retailers who back KPCS policy and who have a no tolerance view towards conflict diamonds. If you want to make sure, 100%, that the diamonds you buy are not part of an illegal diamond trade, purchase diamonds which have been mined from a 100% conflict free area such as Canada or Australia. Keep in mind though, that even these diamonds will have had some impact on the environment. 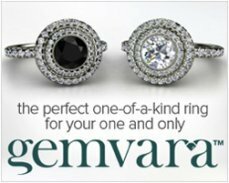 As another alternative too, you may want to check out Gemstone Wedding Rings instead of diamond rings. Many stunning gemstones have the strength to hold up to every day wear, and colorful gemstone rings are quite en vogue right now too! 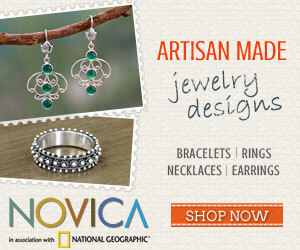 But remember that it is still important to look for jewelers that specialize in ethical and low-impact gemstone rings. 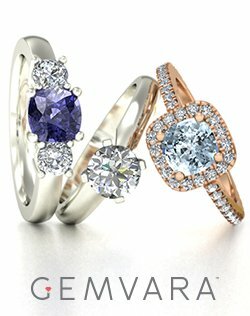 EWR's top recommendation for eco and ethical gemstone wedding rings is Gemvara. 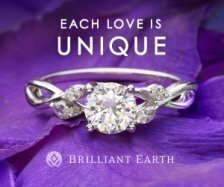 Thank-you for taking the time to find out how to buy truly non conflict diamonds and how to avoid the accidental purchase of blood diamonds. Every shopper votes with a purchase, and the more we demand ethical diamonds the harder companies and retailers around the world will work to meet this demand! Questions or comments about blood diamonds? Send in your questions or comments about blood diamonds here - I will post answers to your questions as soon as possible!